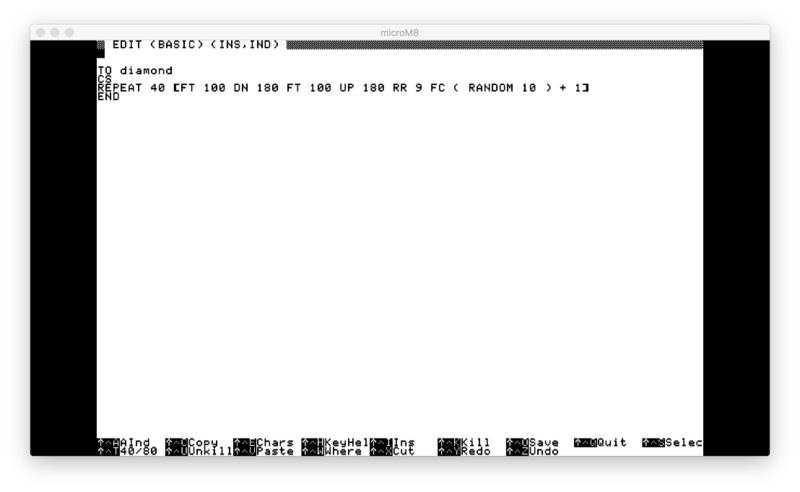 We love our colour text but it can be difficult for visually impaired people to read, many of whom chose the Apple II back in the day because it didn’t have multi-coloured text or background colours. 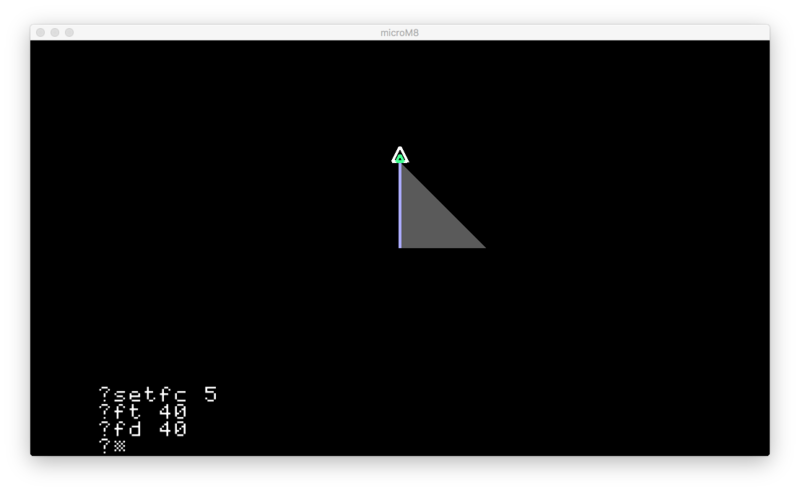 Also, some people have voiced a preference for strict black-and-white text to keep the microM8 experience more in line with that of a real Apple II. 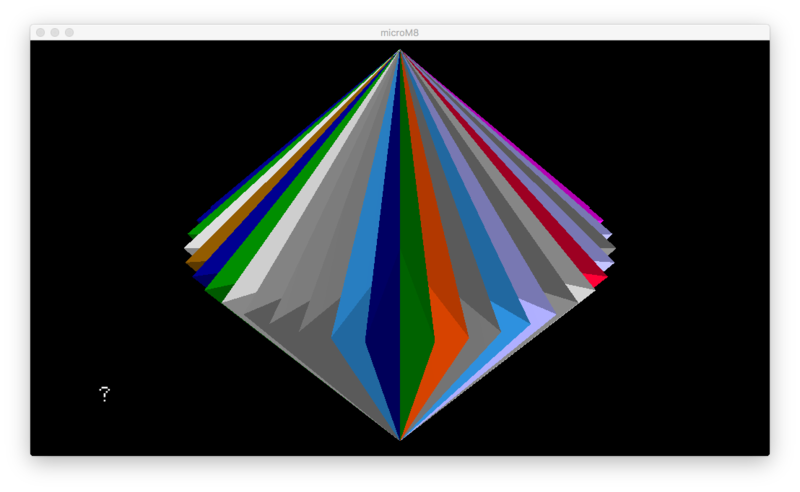 To turn on high-contrast mode, select High Contrast from the menu. To return to the land of colour, just click it again. 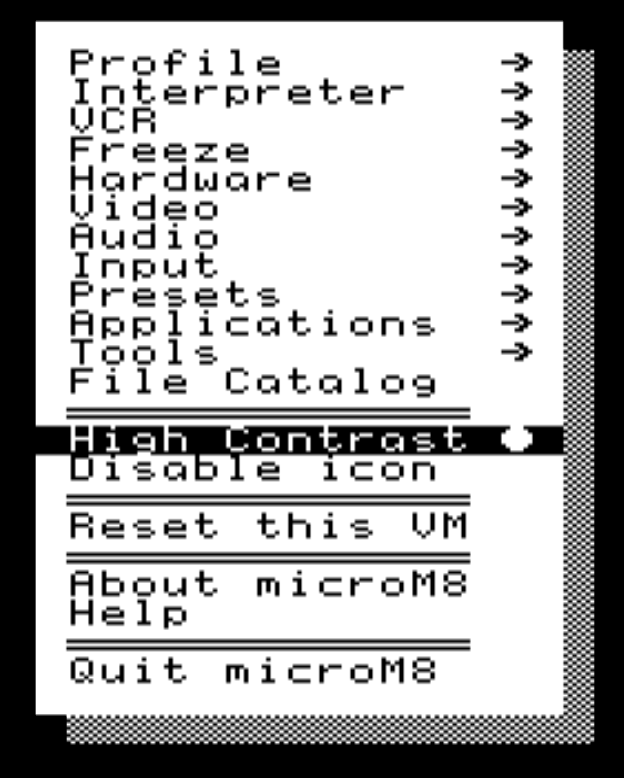 This setting is persistent, and so when you launch microM8 later it will start up in high-contrast mode, if selected. If you have an existing copy of microM8, it should auto-update with the new features, otherwise you can download it from the Download page.